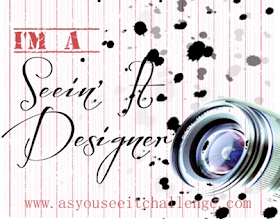 Playing with Papercrafting: Stampin' Up! Delivers the Goods! Did you enjoy your Canada Day Celebrations yesterday? What beautiful weather we had in the Okanagan Valley! We had a lovely evening BBQ at some friends and a Canadian trivia contest, which our team tied for first place! 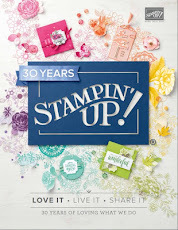 I just have a quick post for you with a special offer from Stampin' Up! during July. Stampin' Up! is really delivering the goods - the paper goods that is! For the month of July, if you purchase 3 packages of Designer Series Paper, you can get one pack for FREE! 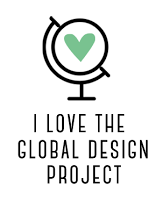 That is so awesome, because the Designer Series Paper this year is so beautiful. And, come on, you can never have too much paper, right? Certain restrictions apply; see your demonstrator for details. Here's a little card I designed for my Technique Night Class this week. 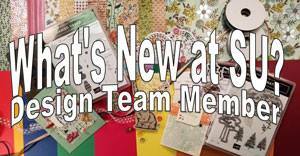 I used the Lullaby Designer Series Paper and the Something for Baby Stamp Set for the onsie on the front. The sentiment was from Itty Bitty Banners, and was die cut with the coordinating framelits called Bitty Banners Framelits. The card has a liner so that the little cubes can pop up but the cut away part won't show. I used my Stampin' Trimmer to cut all the pop ups. The liner measures 5 1/4" x 8 1/4", scored at 4 1/8". I made 1 1/2" cuts all along the folded edge of the liner at 1/4", 1 1/4", 1 1/2" 2 1/2", 2 3/4", 3 3/4, 4" and 5",. I scored at the ends of the cuts on both sides, then folded the 1" sections into mountain folds and the 1/4" sections into valley folds. I used the Postage Stamp Punch to punch out 2 of each colour "postage stamps" - Baked Brown Sugar, Coastal Cabana, Pistachios Pudding and Crisp Cantaloupe. I used the Little Letters Thinlits dies to cut out the letters for the boxes, in the same colours. 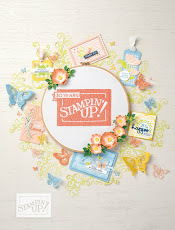 The inside sentiment is from Something to Say, a very versatile little stamp set. Come on out to my Technique Nights if you want to make this one! Register here for Wednesday night and here for Thursday night.